Independent Contractor: Audio/music production for radio, television and video. Audio workshops and technical consultant for radio and podcasts. Clients include Carnegie Foundation, Popular Mechanics, Esquire, Latino USA, National Radio Project and more. Record live story telling shows such as The Moth and Yum’s The Word. ​Engineer/Sound Designer: Engineer live programs produced at WNYC such as The Brian Lehrer Show, Leonard Lopate, The Takeaway, station fundraisers and others. Temporary Technical Director/ Editor for the WNYC programs Selected Shorts, Studio 360, Freakonomics Radio, The New Yorker Radio Hour, On The Media, Note To Self, 2 Dope Queens, Only Human and others. Supervise interns and other technical staff. Adjunct Professor: Teach the Radio and Podcast production course at the Eugene Lang College, the Liberal Arts School at The New School University in Manhattan, New York. Associate Producer: Edit narration, create playlists, report to Sound Exchange, update website, review music and other tasks for a 35 hour per week nationally syndicated music show, UnderCurrents. Substitute Instructor at California College of the Arts for Radio Production Class. Technical Producer: Engineered and edited weekly 2-hour pop-culture TV show. Recorded location interviews. Technical consulting. Create production systems, supervise student interns. 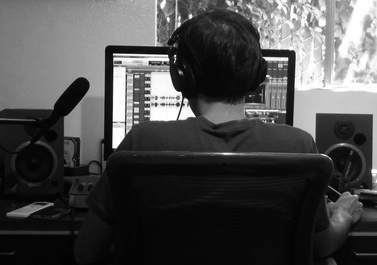 Technical Director/ Producer: Co-Produce, engineer, edit, and distribute weekly 2-hour political talk show. supervise interns. ​Engineer: Engineer live-to-tape 1-hour political talk show. Workshops and performances in sound design, improvisation, performance art, and Max MSP. Recording and mixing processes, signal flow, editing, microphones, acoustics, analog and digital audio theory. Organized first three “AES in the Schools” Conferences. Head of sound for 3rd annual AES “Battle of the Bands.” Organized tours and meetings. Student Speaker. AES representative.